Every therapist knows that adolescents are difficult and challenging clients. Push a teen too hard for change and you risk upsetting the fragile balance of trust, distracting from the work at hand, and possibly leading therapy in the wrong direction. Take too light an approach, however, and an adolescent becomes disengaged and bored, unwilling to work at therapy or likely to terminate therapy prematurely. Therapists need to strike a balance between being respectful and directive. But how do you show understanding for the immediate problems of teens while helping them to become more confident, connected, and fulfilled individuals in the longer term? 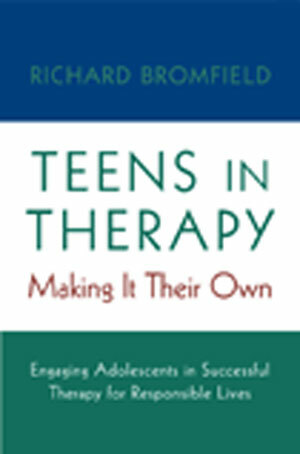 Bromfield answers this question by offering therapists key insights and helping them to understand that, in the therapeutic context, adolescents as well as their therapists often feel lost and sometimes are unsure as to why they meet and what therapy can achieve. Teens in Therapy is the perfect guidebook to this difficult clinical terrain. 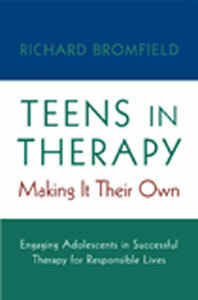 Drawing on years of clinical experience, Bromfield shows therapists that in order to affect change in their clients, adolescents have to want to change, realize what their problems are and how they contribute to them, and, most important, take ownership of their therapy and their lives. Organized into 18 chapters that explore specific treatment techniques—valuing the adolescent, promoting honesty, facilitating self-revelation, spotlighting conflict, speaking the patient’s language, avoiding the doldrums, working with parents, and more—readers will find an enlightening examination of the problems inherent in adolescent therapy, and come away with effective strategies to foresee, address, and then overcome them.Filled with rich case material, Teens in Therapy focuses on the stories and perspectives of adolescents themselves, arming therapists with a clearer sense of purpose and strategy, and giving them the tools necessary to effectively engage their teenage clients in therapy and help them to assume greater responsibility for their treatments and futures.